Repairing the Large Hadron Collider (LHC) near Geneva will cost almost £14m ($21m) and "realistically" take until at least next summer to start back up. An electrical failure shut the £3.6bn ($6.6bn) machine down in September. The European Organization for Nuclear Research (Cern) thought it would only be out of action until November but the damage was worse than expected. It is hoped repairs will be completed by May or early June with the machine restarted at the end of June or later. Cern spokesman James Gillies said: "If we can do it sooner, all well and good. But I think we can do it realistically (in) early summer." The LHC was built to smash protons together at huge speeds, recreating conditions moments after the Big Bang, and scientists hope it will shed light on fundamental questions in physics. The collider operates at temperatures colder than outer space for maximum efficiency and experts needed to gradually warm the damaged section to assess it. "Now the sector is warm so they are able to go in and physically look at each of the interconnections," Mr Gillies told Associated Press. The cost of the work will fall within the Cern's existing budget. 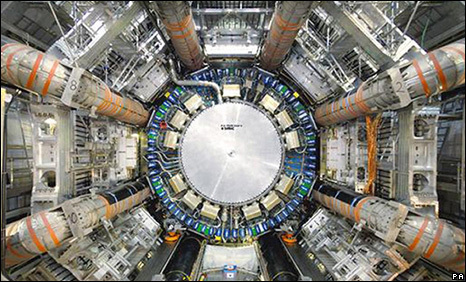 Dr Lyn Evans, the Welsh-born project director has called the collider "a discovery machine, the most sophisticated scientific instrument of our time."